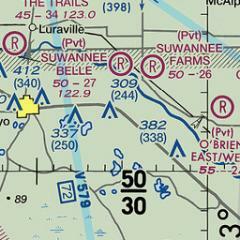 The Trials Airport is located in a small town of Luraville, Florida. This is a gated community with a country setting. Two grass runways the 18/36 is 3400 x 75 ft and the 9/27 is 2500 x 150. 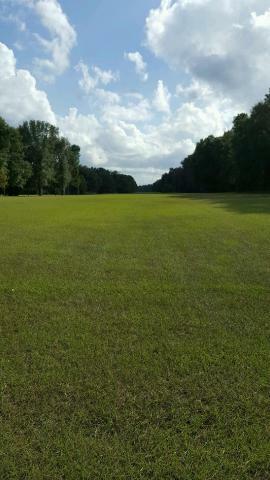 Some of the lots are right on the Famous Suwannee River. Most lots are 4 acre or more tracts. Flying your plane and living a quiet peaceful life? You've come to the right airport to live. Registered as a air port in 1985, each property has it's own style. Homeowners Association fees are only $160.00 annually. This is one of the few Air parks in the area where you can build the size of home you want. Mobile homes are allowed as well. The local area is well known for it's wonderful parks. There's all types of water sports. Whether your cave diving, boating, canoeing, kayaking, or just tubing down the river. Cave diving is well known in this area. You can fly most any day of the year. Pilots claim to fame in the area are they love to fly and can go 360 days out of the year. You will find at the famous Spirit of the Suwannee Music Park, nightlife such as live bands and Karaoke. Elvis impersonators have flocked for their annual Legends Event. When it comes to living with your plane, you will enjoy being in this country setting. Give us a call for a private tour of this Gated Air park. Luraville Country Store would be a typical rural gas station/general store like many others across the South, except for two things: their breakfasts are the stuff of legends and they are a spiritual home to the cave diving community, being near Wes Skiles Peacock Springs State Park and numerous other Florida cave diving sites. Taking advantage of that fame, they have a great map of the region's springs painted on the north side of the building itself and a painted map of the area's caves on a tabletop inside the breakfast area. They have awesome (super-sugary) sweet tea and know a lot of the local lore and are on a first-name basis with some of the world's top cave divers and photographers. Check them out if you're in the area and need a candy bar, potato chips, or the like.